We were quite big hen party, 18 ladies ( well one man standing in for a no show…) and Charlotte had mentioned a few places she’d happily go to for her night and I sorted the rest. I ended up booking the Cosy Club. It looked great and had a reasonably priced ‘Party’ menu and cocktails that wouldn’t bankrupt us all. But I wish now that I had chosen one of the others short-listed. The building itself might have been beautiful and the wait staff were trying their best but totally let down by the management. Suffice to say I won’t be recommending any time soon and a full review is going up on TripAdvisor shortly, which I’ll post a link to. 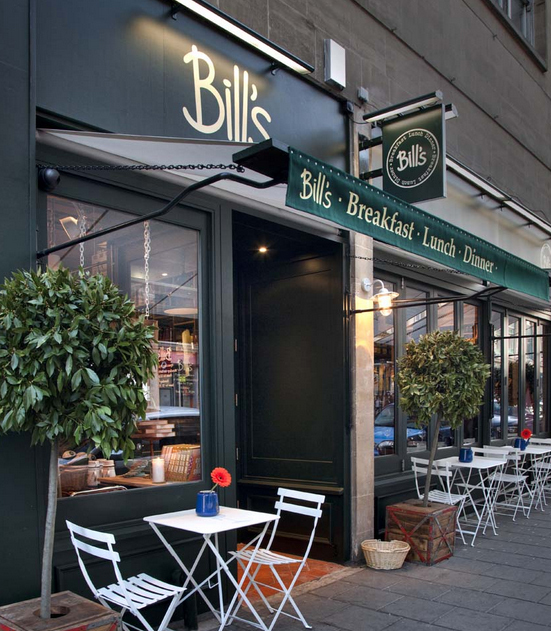 In complete contrast, we went to Bill’s for breakfast on the Sunday morning, booked for 10 people and the service was great, apart from the odd difficulty at the end getting hold of a card machine ( I should carry cash, like the other 9 people!). The food was great and arrived in a timely fashion. Bill’s even serves dinners and has a selection of cocktails – with hindsight our breakfast venue probably would have provided better service for our Saturday night dinner. Lesson learnt. Next Article Trip to Lyme Regis for a…. wedding whoop whoop! !